[Weekend Poll] Will You Be Buying A Galaxy Note 3 Or Galaxy Gear? Our time at IFA is drawing to a close, and after the dust has settled, it's pretty clear who came out on top in terms of interesting unveils - Samsung. The Note 3's new features, enhanced display, faster processor, and continued focus on maximizing screen space without increasing the size of the device itself have clearly kept people interested in the increasingly-popular line of handsets. Having played with the Note 3, I must agree - it's better in nearly every way than its predecessor. I have little doubt it will receive wide critical praise and an even stronger reception from Note fans. The Galaxy Gear was a bit more of a mixed bag. Some people did seem to genuinely like Samsung's take on the smartwatch, though at $300 it's definitely going to be a tough sell for some. But the fact that Samsung is getting both of these products on the market very soon - by next month in most countries - means you'll probably have a chance to throw down some of that hard-earned cash very soon. Samsung's also marketing them as "companion devices," given that the Gear will only be fully functional with a small subset of Samsung phones. So, what say you - are you picking up a Note 3 or Galaxy Gear? 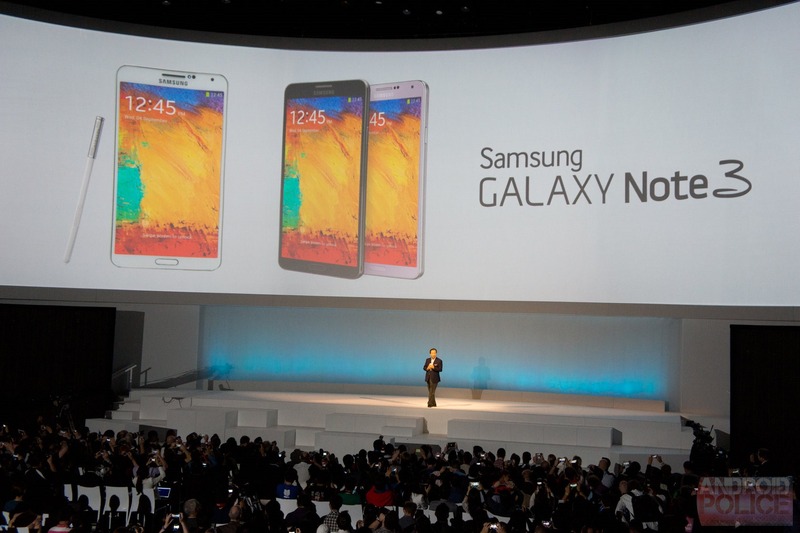 Are you going to buy a Galaxy Note 3 or Galaxy Gear? I'm buying a Note 3, but not a Gear. I'm getting both - Note 3 and Gear all the way. I'm getting a Gear, but not a Note 3. No, I'm not buying either.